Deciding on a surface for your new driveway can be difficult because there are many variables to consider. Options such as asphalt, concrete and interlocking pavers are available – all with very different aesthetic and performance qualities. For a new driveway installation you should consider the proper time to install the driveway, the durability of the surface material and the proper method of installation. At Terra Firma, we often provide prospective customers with these three best practice tips for a new driveway installation. The time you choose to install a new driveway surface is very important. When you choose a reputable contractor to install your new driveway surface, they should consider outside temperature and moisture level when they set the installation date. No matter what surface you choose for the top, be it asphalt, concrete or pavers, it is important that the sub-grade preparation is correct. Think of your sub-grade as the support for your new driveway; the sub-grade must be smooth, firm and it should be contoured to match the layout of the driveway. To ensure a proper sub-grade installation, weather conditions should not be too wet or too cold. If the sub-grade contains too much moisture, or is frozen with moisture, your driveway may be laid on a compromised surface. Asphalt Driveways Last – An asphalt driveway can last for 20 years with regular preventative maintenance. Asphalt Driveways Install Quickly – A newly constructed asphalt driveway can be installed in a relatively short amount of time – typically a day or two once the sub-grade preparation takes place. Asphalt Is Great In Cold Climates – Asphalt driveways are very common in northern climates because of the material’s pliable characteristics. During freeze and thaw cycles, asphalt is much more forgiving than other driveway materials. As an added bonus, the black color of asphalt soaks in the sun’s heat and melts snow faster during snowy winter weather. Asphalt Is Cost Effective – Asphalt driveways are one of the most cost-effective options for driveway construction. Preventative maintenance on asphalt is also less expensive than other surface materials. The most important thing to consider when you are installing a new driveway surface is water drainage. No matter what driveway surface you select, if there is excess water pooling or poor water drainage on the surface it will deteriorate your driveway surface quickly. At Terra Firma we understand how to pitch water away from the driveway and ensure that surface water does not have the opportunity to build up and cause surface damage. Or you can always opt for porous asphalt, which is a paving option that actually allows water to penetrate through the surface. This means that you will never have to deal with pooling water or poor drainage because the water is able to flow through the asphalt surface. This is a great option for sloped driveways, or for homeowners who want to conserve water for neighboring flora or fauna. With 45 years of asphalt paving experience, from highways to driveways, we are your local source for all of your asphalt paving needs. GET IN TOUCH WITH Terra Firma of Delmarva, inc.
Terra Firma is dedicated to delivering quality workmanship. 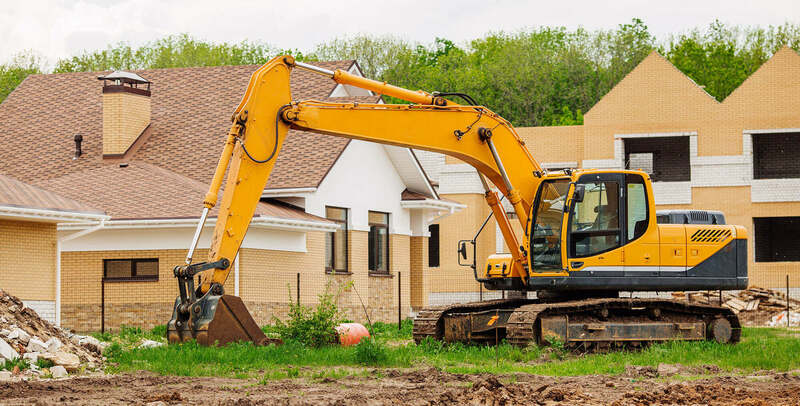 If you have a commercial or residential construction project that you need taken care of, please contact Sussex Counties most experienced paving contractor today by calling 302-846-3350 or visiting our website. You can also follow Terra Firma on Facebook and LinkedIn. Terra Firma serves the following and surrounding cities: Salisbury, Berlin, Ocean City, Pocomoke, Princess Anne Maryland. Delmar, Laurel, Seaford, Bridgeville, Georgetown, Rehoboth and Lewes Delaware.